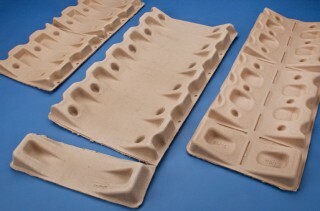 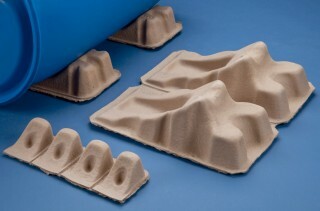 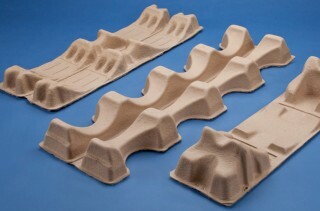 100% Recycled roll cradle molded packaging products. 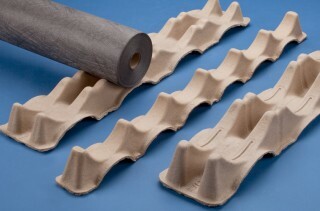 | Fibreform Containers, Inc.
Made from 100% recycled material, roll cradles are used to package an array of poly films, piping, fence rolls, mufflers, and paper rolls. 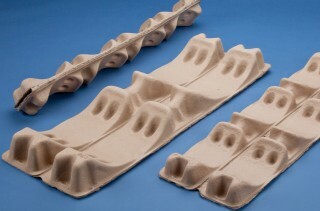 Pulp cradles can be used for almost any cylindrical products that need to be horizontally stacked and contained on a pallet. 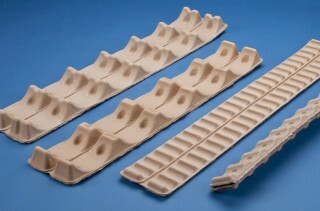 The cradles are “made to fit” and sized in a number of diameters from 2” all the way up to 50” rolls.